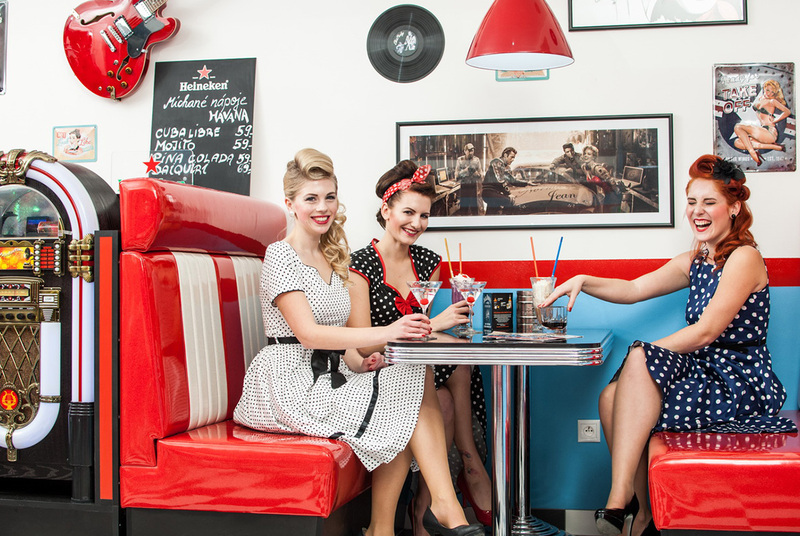 Choose from our wide selection of American retro diner chairs, diner booths, tables, retro barstools and custom-made bar counters, interior diner decorations, shelves, coat hangers… and select from a wide range of colors, materials, sizes…do not forget to look at the typical American 50’s materials as shiny vinyl and special table top decors. 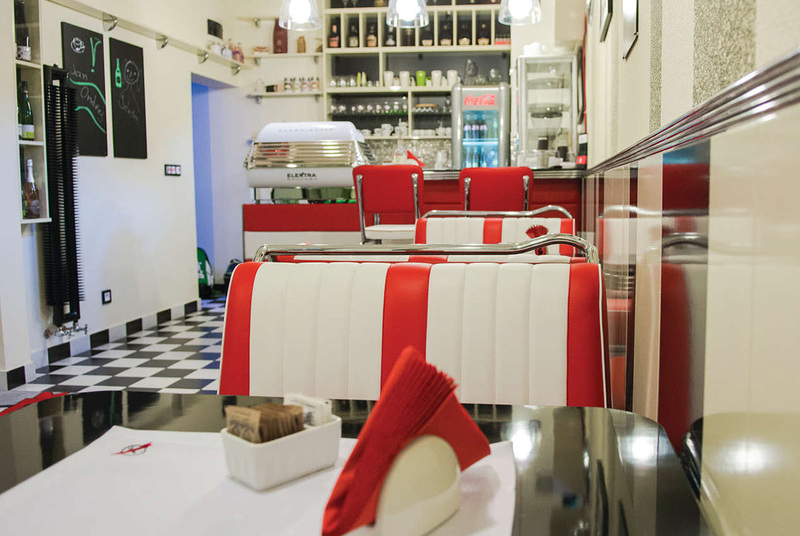 Our main collection of diner furniture consist of chairs, bar stools, booths and tables. Each piece is custom made in colors and materials of your choice. View few of the Diner Restaurants and Coffees we have made. 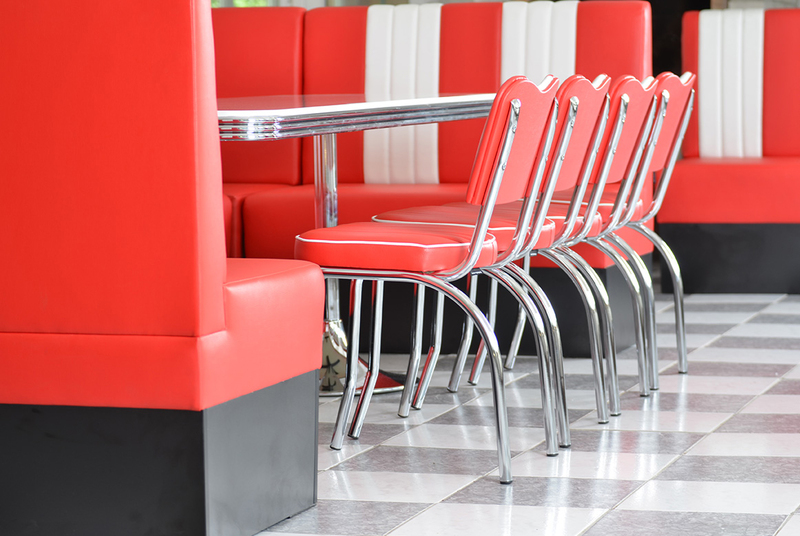 You will find there a lot of our diner furniture in various colors and materials.